July 16, 2014—Neuropsychological impairment has long been established as a fundamental characteristic of depression, but a specific pattern of impairment that is widely recognized has not been summarized. However, new research has found self-serving bias and self-recognition bias to be impaired in individuals suffering from major depressive disorder (MDD) compared with a control group. This research lays the groundwork for further study on the etiology and pathological mechanisms of major depressive disorder. In this study, Professor Jia Hongxiao and his group from the Beijing Anding Hospital, Capital Medical University, explored MDD from the perspective of neuropsychology. Their findings are outlined in "Neuropsychological impairment: disturbed self-processing in patients with major depressive disorder," published in the Chinese Science Bulletin. Impairments, including cognitive dysfunction, are fundamental features of major depressive disorder, but it has been difficult for specialists to construct a universally accepted pattern of specific cognitive impairment in this area. Many studies report evidence for cognitive bias (i.e., an excessive focus on the self or negative stimuli) in depressed or dysphoric individuals compared with non-dysphorics. Positing that there might be three characteristics of abnormal self-conception in depression: increased self-focus, attribution of negative emotions to one's own self and increased cognitive processing of the self, the researchers write that, "We hypothesize that individuals with major depressive disorder suffer from abnormal self-processing based on theories of self and self-abnormality in depression." Experimental results indicated that the performance of face recognition in depressed patients was significantly worse than healthy subjects in both the self-famous and the self-stranger task, and that this impairment cannot be attributed to medication status. In line with the clinical characteristics of depression, depressed patients have excessive self-focus and increased sensitivity to the self-face compared to other faces, regardless of face familiarity. This abnormal self-bias may be explained by clinical characteristics of MDD that most patients are autistic and focus more on self-entanglement such that they are unable to shift their attention to the outside world. Taken together, these conclusions suggest that MDD patients usually concentrate on self-perception first and generally regard the perceptual activity of the inner self as more important than the external world. Similar findings have emerged using other measurements of self-abnormalities, such as autobiographical memory (AM) studies. The tendency of memory recall for MDD was for general non-specific memories (over-generality) rather than for specific events and these AM deficits might be trait-like markers for MDD.
" In addition," the researchers note, "we reviewed related literature and found a neural basis to support the conclusion of self-disorder in MDD. The consistency of brain regions in depression and self-related processing supports our hypothesis that self-processing is impaired in MDD. 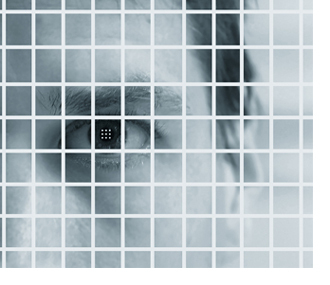 We believe that there might be a behavioral level of impaired self-processing in MDD from the view of face recognition." This research provides a new perspective for further study on the etiology and pathology of MDD. Future studies might rely on more empirical research to explore which level of self-processing is altered in major depressive disorder. Studies involving a combination of domains, such as neuropsychology, electrophysiology and fMRI, will likely enrich understanding of the etiology of major depressive disorder. "Neuropsychological impairment: disturbed self-processing in patients with major depressive disorder," Liu S S, Ma X, Yin M Y, et al., China Science Bulletin. June 2014. Press materials provided by Science China Press.